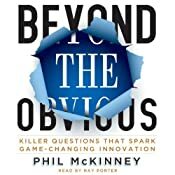 I listened to this book from Audible. 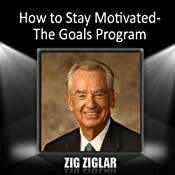 I really like Zig Ziglar’s message, I find it positive and inspiring. This audiobook is a part of a larger series, but here is the rub, Audible does not make it clear what books make-up the entire series and what order they should be read in. So listening to just this book makes me feel incomplete, like there is something important missing, like I don’t have the entire story. Although I feel unsatisfied with this book, I did enjoy listening to it and will probably get another book or two that will hopefully be a part of the series, maybe someday I will actually get the entire message. Apply these winning steps from the motivational master himself to build a better, more productive, satisfying life for yourself and your family. Change your picture and change every facet of your life. I rate this book a 6 out of 10, would probably be an 8 with all the pieces. I listened to this as an audiobook from Audible. I have always known that I am an introvert, but this book taught me so much about myself that I don’t know where to begin. This book really blew me away and I look forward to sharing it with a lot of friends and co-workers. I think the publisher’s summary below does a great job, give it a read and if it speaks to you I can’t recommend the book highly enough. If you manage people, have a spouse that is shy or introverted, are introverted yourself, just anyone at all, you should do yourself a favor and read this book. Kathe Mazur does a wonderful job bringing the subject to life narrates it, I look forward to listening to her again soon. What has impressed me the most is that I have discovered many of my behaviors are actually done in an attempt to overcome or hide just how introverted I really am. I believe that trying to hide my introverted-ness has been a large negative influence on my entire life; it has left me tired, frustrated, and often angry. Quiet has given me some tools and ideas of how to handle my feelings and desires in much more productive ways. Now it is up to me to use what I have learned to improve the life of myself, me family, and those around me. At least one-third of the people we know are introverts. They are the ones who prefer listening to speaking, reading to partying; who innovate and create but dislike self-promotion; who favor working on their own over brainstorming in teams. 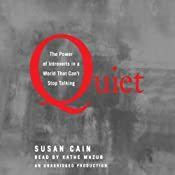 Although they are often labeled "quiet," it is to introverts that we owe many of the great contributions to society–from van Gogh’s sunflowers to the invention of the personal computer. Passionately argued, impressively researched, and filled with indelible stories of real people, Quiet shows how dramatically we undervalue introverts, and how much we lose in doing so. Taking the reader on a journey from Dale Carnegie’s birthplace to Harvard Business School, from a Tony Robbins seminar to an evangelical megachurch, Susan Cain charts the rise of the Extrovert Ideal in the 20th century and explores its far-reaching effects. She talks to Asian-American students who feel alienated from the brash, backslapping atmosphere of American schools. She questions the dominant values of American business culture, where forced collaboration can stand in the way of innovation, and where the leadership potential of introverts is often overlooked. And she draws on cutting-edge research in psychology and neuroscience to reveal the surprising differences between extroverts and introverts. Perhaps most inspiring, she introduces us to successful introverts–from a witty, high-octane public speaker who recharges in solitude after his talks, to a record-breaking salesman who quietly taps into the power of questions. Finally, she offers invaluable advice on everything from how to better negotiate differences in introvert-extrovert relationships to how to empower an introverted child to when it makes sense to be a "pretend extrovert." I rate this book a 10 out of 10 and recommend it to everyone! I listened to this as an audiobook narrated by Ray Porter. I have to tell you that I only made it a little over half-way through listening to this book before I gave up on it, I really wanted to stop much earlier than that. Ray Porter does an excellent job narrating this book, but he did not have much to work with. There just isn’t much useful here, his assumptions about why certain decisions and outcomes came about strike me as being very wrong. It doesn’t feel like any research or fact checking was done. The killer questions he extolls do not feel useful to me; in fact they feel counterproductive. Ugh… that is enough. I am not including anything from the publisher. I rate this book a 0 out of 10 and I recommend you do not waste your time.